Security on your terms, with enterprise-speed protection at the edge of your network. Maximum performance and security in an all-in-one appliance with built-in headroom. Wireless access points, integrated wireless management, and WatchGuard Dimension. Worried about hackers breaking in your front door? Don’t be! They are already climbing in your windows. Remote locations are quickly becoming the number one target for cyber criminals. Why not, it’s the fast lane to your company’s most valuable assets, and expanding your company’s footprint often leads to new challenges and blind spots with data security, access, and visibility. 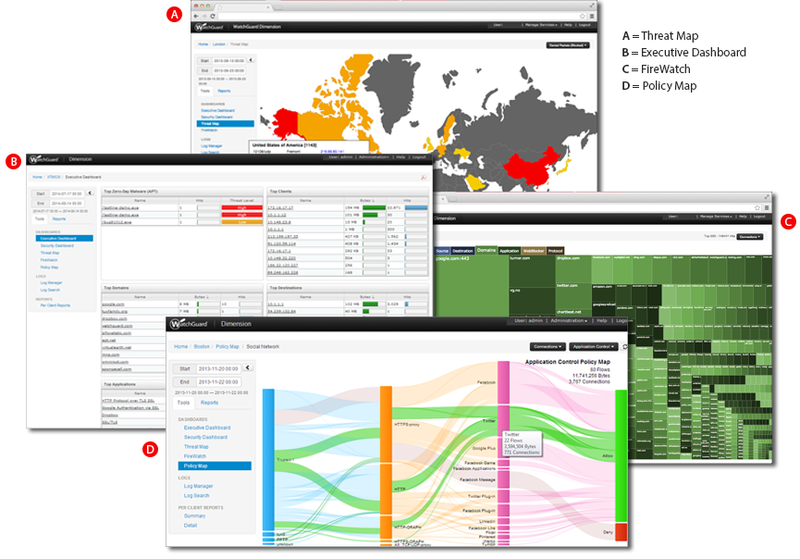 WatchGuard is proud to present Biggest Security Blind Spot? — an interactive webinar that will bring distributed enterprise security issues to the surface. • How can I ensure consistency across all locations? • Is there a faster way to configure more security systems? • How do I really know what’s going on at all locations, at all times? Join Ben Brobak, WatchGuard Product Manager and CISSP, as he answers these complex questions and more, along with Nick Kelly, Director of Product Marketing, who will introduce the solution for a more secure and compliant remote location. Make sure you are prepared for tomorrow’s threats by joining us for Biggest Security Blind Spot? New! Dimension Command is our new suite of management tools for WatchGuard Dimension. With it, IT pros don’t just see what’s happening on the network, they can take immediate action right from the dashboard. Contact your authorized WatchGuard reseller to see a demo and get details on an introductory one-year subscription promotion. No complicated setup is required. Simply deploy a virtual appliance – includes OS, database, utilities, and WatchGuard server software – and you’ll be up and running in a few minutes. You can deploy it in a public or private cloud, or on your server, desktop, or laptop. No need to install, maintain, and patch an operating system. No need to maintain dependencies between version of operating systems, databases, and the WatchGuard server software. WatchGuard Dimension™ is a cloud-ready network security visibility solution that comes standard with WatchGuard’s flagship Unified Threat Management and Next Generation Firewall platform. It provides a suite of big data visibility and reporting tools that instantly identify and distill key network security threats, issues and trends, accelerating the ability to set meaningful security policies across the network. 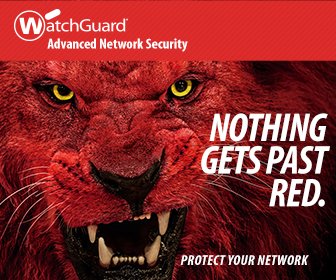 WatchGuard Dimension instantly turns raw network data into actionable security intelligence. It gives you the ability to see and understand how to protect your business, set tight security policy, and meet compliance mandates. The demand for Wi-Fi access is exploding, with 63 percent of all Internet traffic projected to travel over Wi-Fi by 2019. For as much as Wi-Fi can do for your business, organizations that wish to take advantage can NOT forget about security. Join Ryan Orsi, Director of Product Management, and Nick Kelly, Director of Product Marketing, as they discuss the top 7 threats to your wireless network in 2016 and gain powerful insight and tips for protecting your wireless network. Malware is getting more sophisticated by the day and the number of cyber attacks are increasing at an alarming rate. Hackers are no longer just targeting large corporations, they have set their sights on small to midsize businesses as well. This white paper explains how malware has evolved and highlights why anti-virus and traditional sandboxes cannot be the sole solution in protecting a network. What could possibly supersede our basic needs for food, water, shelter and warmth? The answer is four letters: Wi-Fi! This white paper examines how Wi-Fi drivers like mobility, hotspots, IoT, and cellular offload onto Wi-Fi are shaping the wireless industry, and the unique security challenges that these drivers present. Wireless networks are more accessible than ever before, whether at home, the office, or through a public hotspot, but they are also one of the most common security blind-spots within any organization. Understanding the challenges of Wi-Fi can help you to take advantage of all that wireless access has to offer, without taking on any of the consequences. Talk to our WatchGuard experts to receive prompt feedback and advice on WatchGuard.